MasterChef winner and restaurateur Tim Anderson, with the help of Dr Giles Yeo, ventures into his bowels. "Gut Feeling", "the Gut Instinct", "Trust your Gut". We have so many phrases to talk about the gut, but now science is developing a new language to describe what is really happening down there. Tim and Giles find out how the gut can revolutionize the way we feel in body and mind. 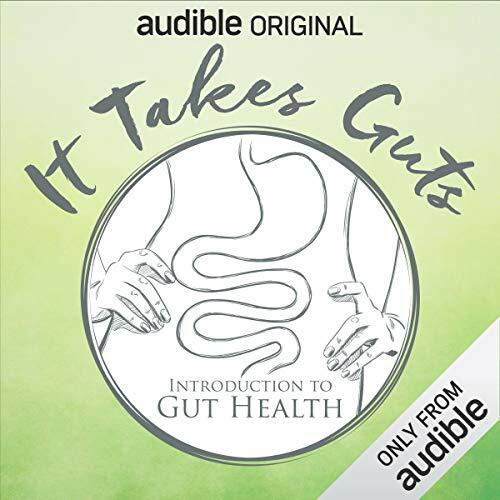 As an Audio Show - free for members - when you add It Takes Guts: Introduction to Gut Health to your library, you'll get all 6 episodes, each with a runtime of about 20 minutes. Found this podcast very interesting. The hosts are charming and the content is excellent. Not too long either, I loved it!